Leading financial services company, Cowens Financial Architects, part of Cowens Group, has further strengthened its growing team with two new appointments in a month. 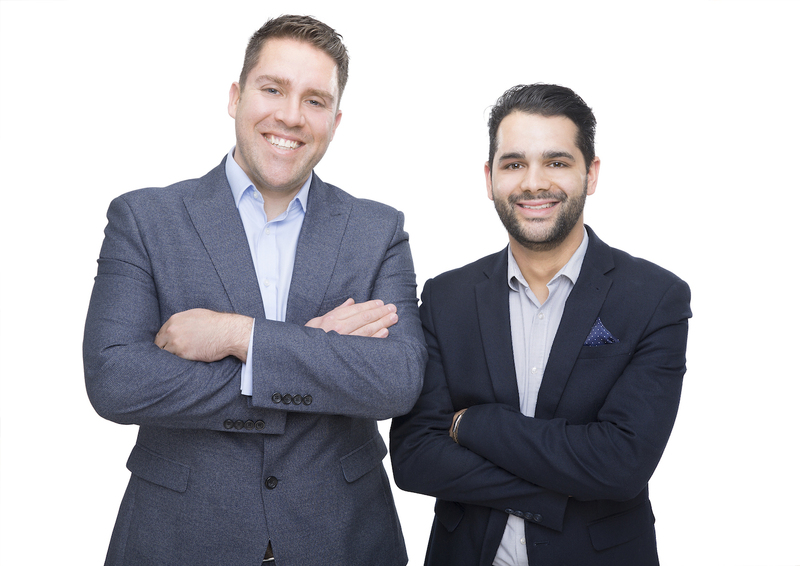 David Carroll and Josh Coelho join the Mansfield-based firm at a crucial time, as the newly rebranded company looks to expand its network of private and commercial clients across the Midlands and beyond. Bringing a wealth of customer service knowledge to the team, Josh has been appointed as a project manager – a paraplanning role to support Cowens’ portfolio of high net worth private clients. Having worked in management and training roles in the hospitality industry for a number of years, Josh’s customer knowledge led him into financial services, when he joined Kirkby in Ashfield based firm, Hampshire Hill in 2015 to begin his financial planning training. Having already passed four of the six exams needed to attain a diploma in financial planning, Josh hopes to sit the remaining two exams over the coming year. “Having worked and studied at one firm for three years, I felt it was time for a new challenge. It was essential for me that the team I joined had ambition and drive and Cowens definitely embodies those things. The company’s ethos is one I could really envisage myself getting behind – the team are purposeful and always do what is right for their clients. David Carroll returns to Cowens after seven years away gaining invaluable experience at some of the country’s top financial planning firms. Previously employed by Cowens as a paraplanner between 2005 and 2011, David now re-joins the company as a financial planner, working closely with the business’ private clients and managing director, Tony Duckworth, to develop and grow its client base and streamline its operations. After leaving Cowens in 2011, David went on to a paraplanner role at Fiscal Engineers before spending two and a half years at Cooper Parry Wealth as a paraplanner manager and financial planning manager, working closely with clients, being part of the company’s leadership team and working towards his level four qualification in financial planning. His vast experience of financial planning and working closely with high net worth private clients and their complex financial needs, means he brings unique insight and understanding to his new role, helping to further provide Cowens’ clients with the best possible financial advice and support. “Returning to Cowens was an offer I couldn’t refuse – after reconnecting with Tony and hearing of the financial planner role, I jumped at the chance. From my first stint with the business, I always knew its focus was about doing the right thing and putting the client first. Many people I originally worked with remain within the team and they had a huge impact on my career, helping me to get where I am today, so I was extremely happy to be coming back to work alongside them again. Not only are they great people, but the team work together incredibly well to ensure clients are looked after and receive the best possible levels of support.